We are commited to pursue our goal of setting up a new business standards in the real estate industry, a standard that aims to advance low and medium-rise buildings and turn them into venues that will be able to accomodate a wide range of clientele. 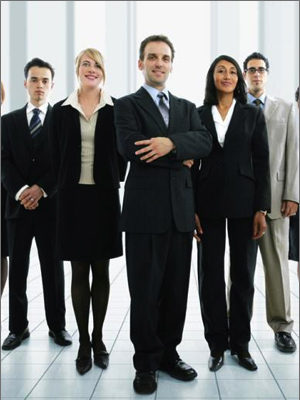 We cater to businesses, we cater to families. Every Legaspi Land property is a product of a strong creative-technical collaboration between five people whose passion is to create personal spaces. This collaboration is evident in every property that Legaspi Land develops. There’s no acceptable compromise to dafety, premium quality and good taste. Every tool, every item or construction-design specific function utilized for every project shows this uncomprmising stand to create perfect personal spaces people would gladly and proudly own. This is also exactly what we at Legaspi Land feel with every property we complete. 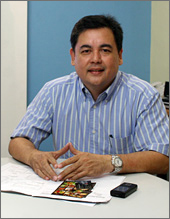 Know more about the Legaspi Land Team. Better yet, get advice on what to look out for when you buy a property. Check out out team journal, read opinions and benefit from our years of experience. 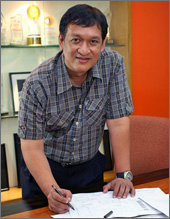 Responsible for interior design and ambiance of all Legaspi land properties. 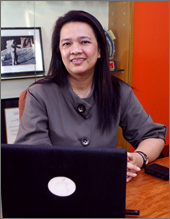 Her creativity and unique understated elegance reflects the style of the lady behind Legaspi Land. There’s no acceptable compromise to safety, premium quality and good taste. Every tool, every item and design is specific to function that shows an uncompromising stand to create perfect personal spaces people would gladly and proudly own. This is also what we, at Legaspi Land feel in every property we complete.